PandA Master is Labelpack’s proposal for printing and applying A5 labels on one, two or three sides of a pallet. Born from the experience of several customized solutions, the machine is a reference point for standard high-quality solutions that can be integrated onto automatic pallet packaging lines. The sturdy mechanical structure has a complete protection that allows safe use in any harsh environmental condition. The applicator unit can be configured to apply one label onto the front side and the second label onto the adjacent side with pallet standing in one position or in two position, and upon request could have also the possibility to apply the third label on the back side of the pallet. Automatic labellers can be easily integrated onto existing lines thanks to their application flexibility. They are available also in non-stop version for high outputs, and allow to apply one or more labels on containers of various type and material. 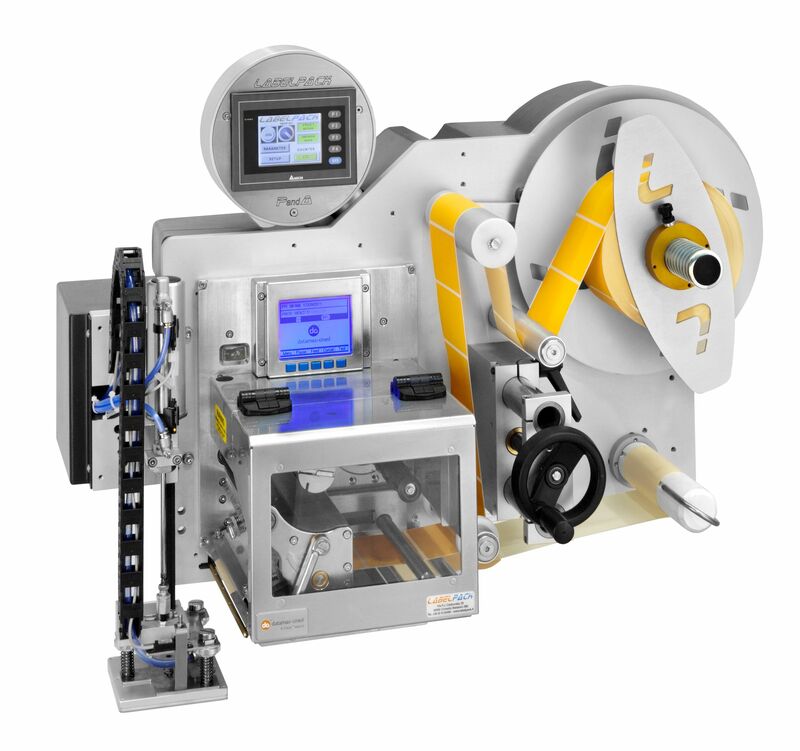 They can be directly directly integrated onto flow-pack, doy-pack, vertical bagging, wrapping and winding machines with variable data printing. The Print & Apply Model Master is suitable for labelling pallets; equipped with integral protection it is available also in stainless steel, and suitable for operating in harsh environmental conditions.